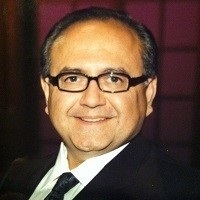 Fred began his financial services career with John Hancock Financial Services in 1981. During his eight years there, Fred earned the number one ranking in production for the Midwest Region. In 1987 and 1988, he was number two nationally in production for John Hancock Financial Investment Division. In 1988, Fred joined Ash Brokerage Corporation as President of the Investment and Pension Division. The Pension and Investments Division placed over $500 million in assets with selected money managers throughout a national network of independent representatives through an independent broker/dealer called SII Investments, Inc. In December of 2002, Fred created his own non-biased and independent investment and securities consulting firm named One Resource Financial Consultants. Fred’s passion continues to be on helping families prepare for their financial future by managing their investments, reviewing their legal documents for estate planning, and reviewing their insurance policies to ascertain whether their risks are properly covered. He also works with corporate clients for servicing qualified retirement plans, managing investments, and planning for succession of the business.